Oakville Ranch is the original mountain vineyard of the Oakville sub-appellation, a tiny district that produces some of Napa Valley’s most celebrated Cabernets. 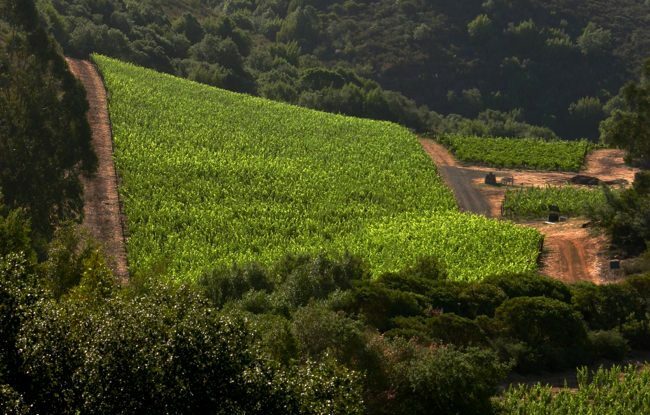 At 1,400 feet above the valley floor, Oakville Ranch produces fruit that speaks from the appellation's signature red volcanic soil with a mountain accent. 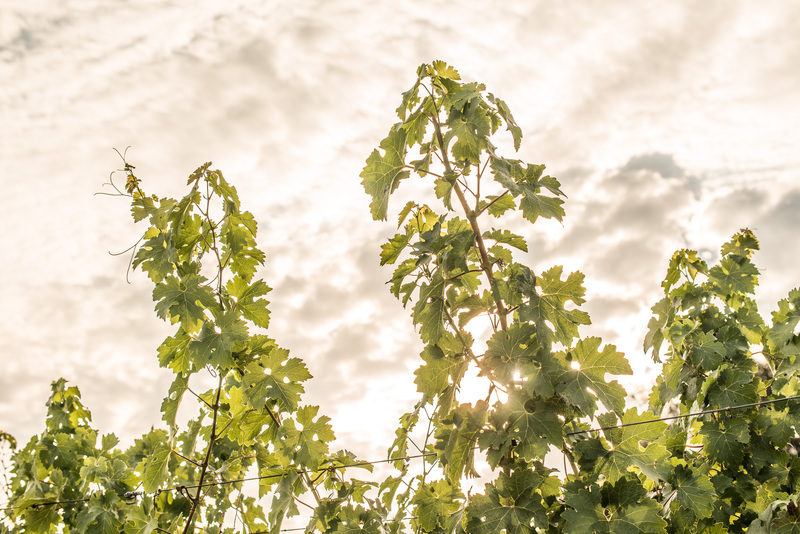 Our vineyards are certified organic and we're dedicating to growing our grapes in a well-planned program of sustainability, selecting sites best suited to each varietal and focusing our limited production on wines expressive of the distinctive terroir. 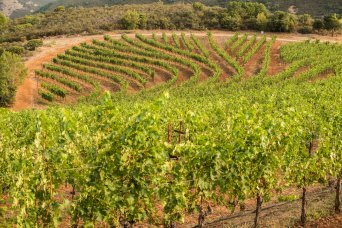 In the two decades since Bob and Mary Miner purchased the 330-acre ranch, plantings have slowly increased from an initial 55 acres to approximately 75 acres of primarily Bordeaux varietals. With less than a quarter of the historic property planted to vineyards, the remainder consists of untouched natural habitat sustaining native flora and fauna along with orchards, vegetable gardens and bee hives. Vines are surrounded by wild grass, native meadows and unsullied woodlands, while insectaries and avian habitats provide efficient pest control and welcome biodiversity. 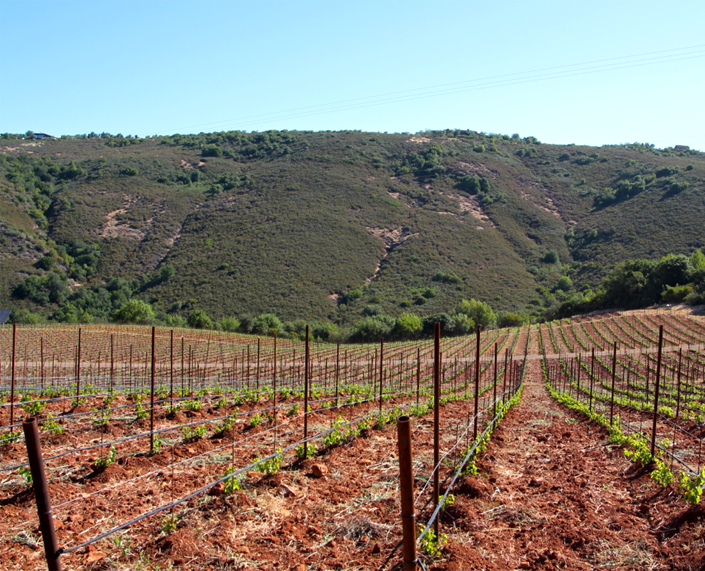 New vineyards are planted on rootstocks selected for their drought resistance, reducing the need for irrigation. Meticulous care in farming has awakened the vineyards’ exceptional potential; they are producing fruit of the highest quality available in the appellation. 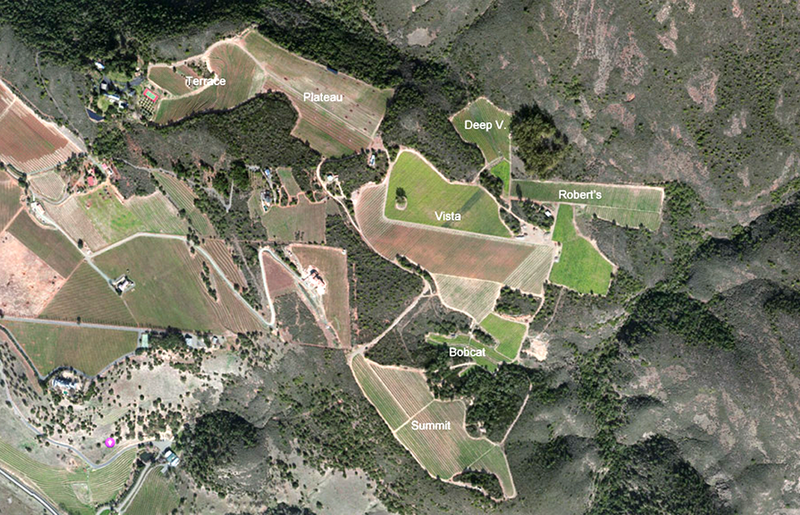 There are 75 acres of vineyard at Oakville Ranch, occupying less than a quarter of the mountainside estate. The vineyard is divided into seven main blocks based on geography, geology and, as a result, varietal selection. The main blocks are then divided into smaller portions for the purposes of irrigation and clonal diversity. The seven blocks are the Terraces, Plateau, Vista, Bobcat, Summit, Robert's and Deep V.
Seven grape varietals are grown at Oakville Ranch, Cabernet Sauvignon makes up 70% of the vineyard, Cabernet Franc over 10%, with the remainder planted to Chardonnay, Zinfandel, Petit Verdot, Petite Sirah and Grenache. The Terrace block is 6 steep acres of Cabernet Sauvignon rising 400 vertical feet from the ranch house and original wine making facility to the beginning of the Plateau block. The Terrace block was planted in 2005. 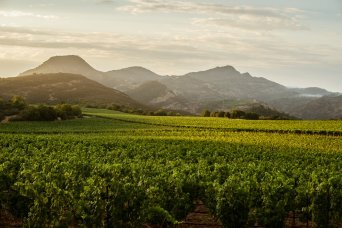 The Ranch's largest block, Vista spans a 25-acre sloping, rocky, depression across the heart of the estate. 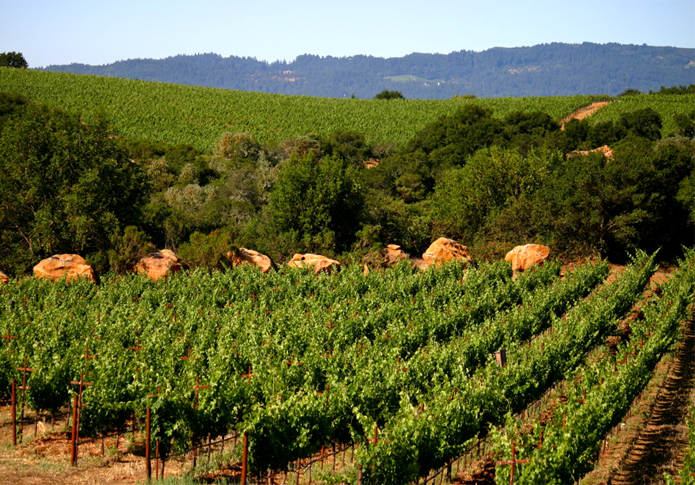 The Vista block is primarily Cabernet Sauvignon with about 5 acres of Cabernet Franc and a half an acre of Petit Verdot. Vista was planted in 2009, 2011 and 2014. The 11-acre Summit block climbs the estate's western ridge to an elevation of 1,400 ft, the highest point on the property. The Summit's 9 acres of Cabernet Sauvignon and 2 acres of Cabernet Franc look west over the Oakville District and Napa Valley. 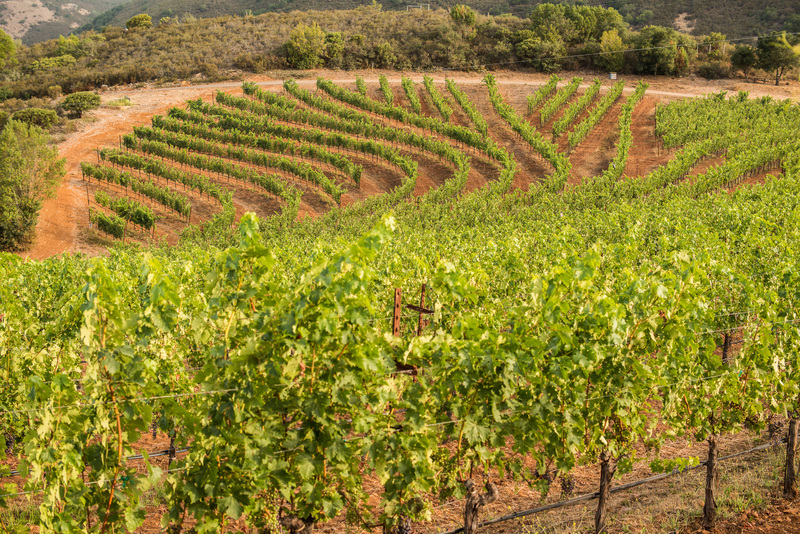 Plateau’s 9 acres of vines, replanted in 2013, are comprised of Cabernet Franc and Cabernet Sauvignon. Planted in 2009, the Bobcat vineyard is a narrow 1.2-acre block of Chardonnay tucked into a rocky, dry creek bed between Vista and Summit. One of the coolest places on the property and named for the wild cats sometimes spotted there, the Bobcat block produces an enchanting mountain grown Chardonnay. 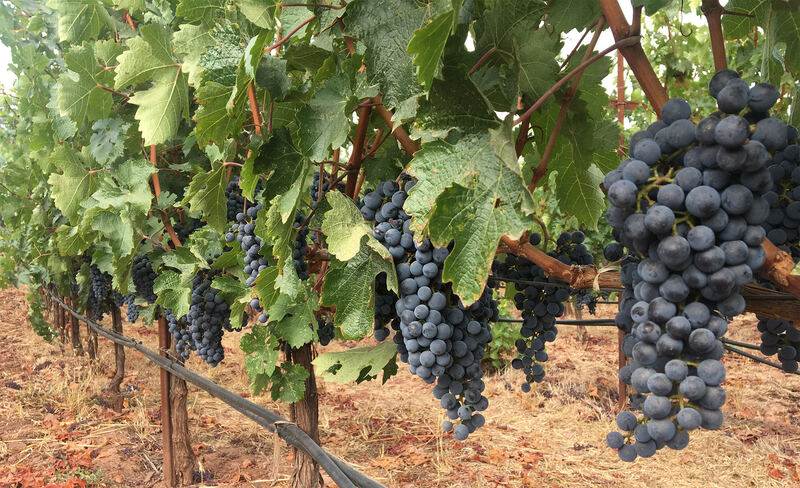 Robert's block is 9 acres that produces the estate's oldest vines: Zinfandel cherished by Robert Miner, as well as Petite Sirah, Cabernet Franc and Cabernet Sauvignon. The inclined block reaches the estate's furthest south and east points. 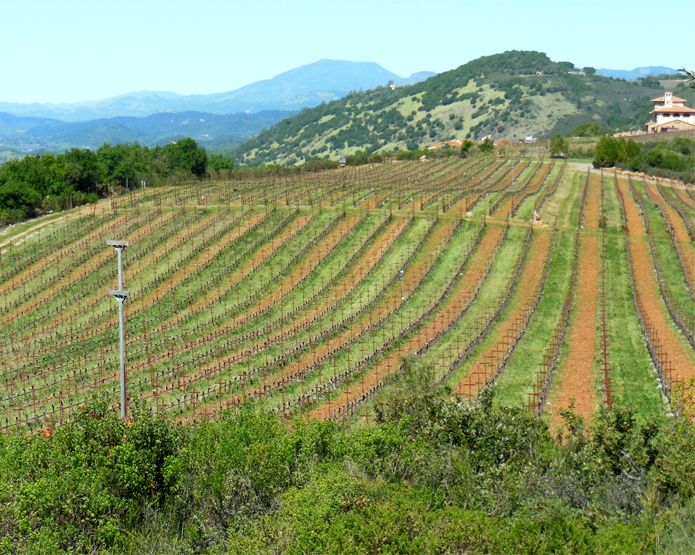 The critically acclaimed Robert's Cabernet Franc and grapes for the Field Blend are grown here. The aptly named Deep V is a steep narrow dell, reaching northeast of the Vista block. 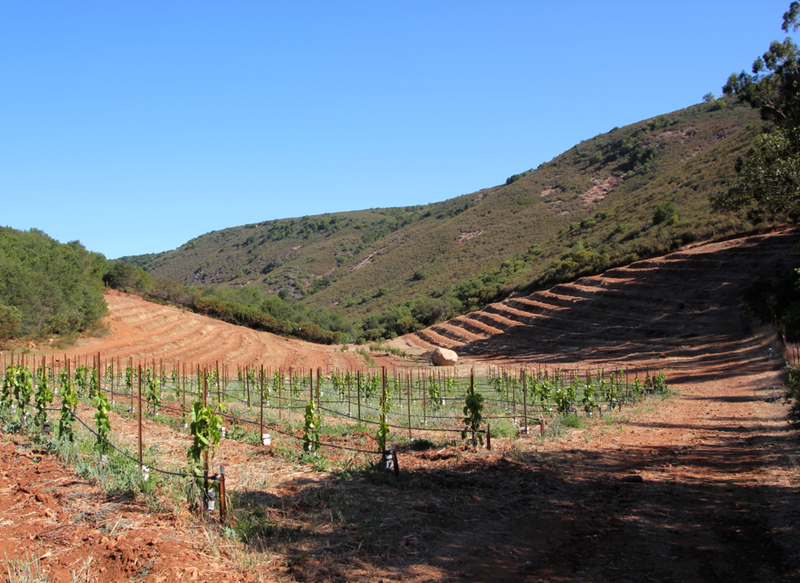 The cool, shady valley will soon be home to plantings of new varietals for Oakville Ranch Vineyards.